A NEW FORMAL partnership between Podcasting hub My Podcast House and The Race Torque will expand the reach of both parties heading into the 2019 motor sport season. Theracetorque.com will become a presenting partner of the flagship ‘On the Grid’ podcast, produced and hosted weekly by Melbourne media identity, Tony Schibeci. ‘On the grid powered by theracetorque.com’ will continue to review the week in motorsport, interview key movers and shakers from within the sport and discuss key issues ongoing throughout the season – both here and abroad. Meanwhile, the expanded relationship will see more targeted motorsport content produced in partnership between both parties – in both feature-style stories and imagery on The Race Torque and in more in-depth podcast specials to be featured on Mypodcasthouse.com throughout the year. 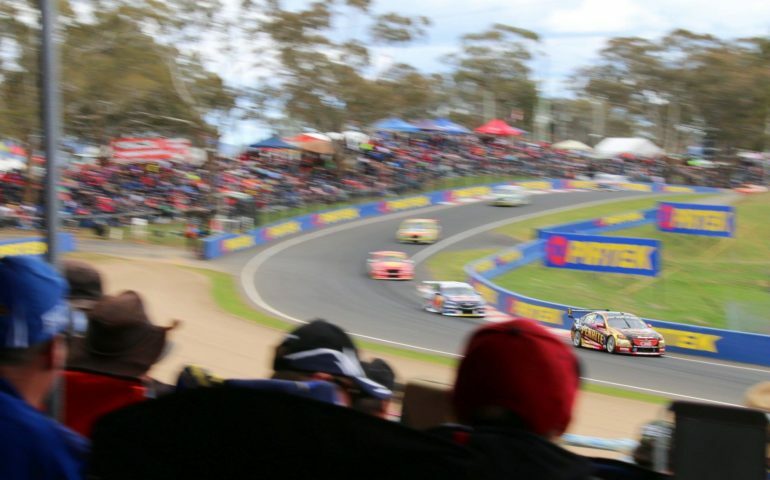 Comprehensive race weekend coverage of all rounds of the Virgin Australia Supercars Championship and Shannons Nationals will also feature, giving fans an audio option to complement the already broad mixture of visual and written coverage of the sport. “We’re both doing something unique in our own niche spaces,” said Schibeci. “Craillsy and his team at The Race Torque are dedicated to feature-length, in-depth content for motorsport fans who want to cut through all the social media chatter and get the real story. “On the Grid and My Podcast House are building the audio coverage of the sport with plans to grow that significantly this year. “Working together we can reach more people, produce more cool content and some really unique stuff that no one else does. The partnership will be featured on both websites and will include regular engagement with the growing and engaged social media audience on The Race Torque’s digital channels. “Schibecs and I have been working together for years,” Craill said. “We both have the same approach to motor sport, which is to cut through the rubbish and just tell great stories while trying to have a good time doing it. That’s the core for what we’re trying to do at The Race Torque by telling feature-length tales with great imagery that don’t get told elsewhere. The collaboration kicks off this week with planned post-event coverage of the official Virgin Australia Supercars Championship pre-season test at Phillip Island. Check out the array of content available at My Podcast House by clicking here.